The roasting process produces the characteristic flavor of coffee, by causing the green coffee beans to change and expand in flavor, smell, density, and color, using several chemical reactions. Lighter roasts will allow the bean to exhibit more of its original flavor, meaning the flavor created in the bean by its variety, soil, altitude, and weather conditions. At darker roasts, the flavor of the roast itself becomes so dominant that it is difficult to distinguish the origin of the bean. Emmanuel, the guide at Finca Rosa Blanca sustainable coffee plantation, explained that the best way to tell if your coffee has been roasted well is to place a tablespoonful of ground coffee on top of a glass of ice water. 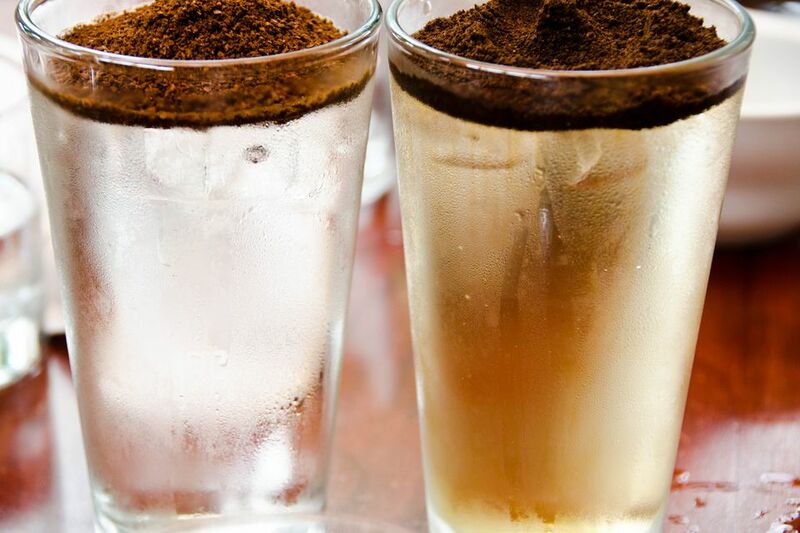 If your coffee leaches into the ice water within a few minutes, it has been either under or over-roasted, because the sugars are leaching out of the coffee into the water. If it doesn't leach (even after a half hour), you've got properly roasted coffee.